Lawmakers in Tallahassee have once again failed to tackle the assignment of benefits (AOB) crisis that reform advocates say is rapidly pushing up insurance rates and dragging down the Florida economy. The 2018 legislative session, which ended on 11 March, marked more than five years without the passage of a bill addressing AOB abuse after reform legislation stalled in the state Senate. AOBs allow an insured to sign over control of their homeowner's or auto policy to a third party, who is then able to push for a higher claim payout, including suing an insurer without notifying the insured. 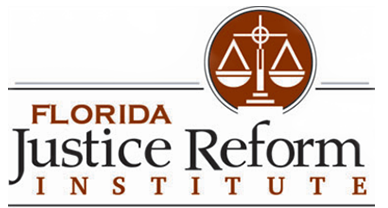 Abuse of this system imposes a tax on everyone in Florida through higher insurance rates, which businesses pass on to consumers, according to William Large, president of the Florida Justice Reform Institute, which has advocated for AOB reform. "This unfortunately will lead to higher insurance premiums for Florida consumers as this litigation scam will continue to increase throughout Florida," Large said. AOB reform hinges on another Florida statute known as the one-way attorney fee, part of a century-old Florida law that lets lawyers collect legal costs from an insurer when a claim settlement exceeds the carrier's initial offer. Many insurers and advocates say the fee law has been used to strong-arm insurers - eager to avoid hefty litigation expenses - into settling inflated claims, in turn pushing loss costs sharply higher. A measure to reform the one-way fee law also stalled in the Senate, where opponents have asked insurers to guarantee lower rates in exchange for modifying either that statute or the AOB law. Barry Gilway, president of state-run insurer of last resort Citizens, said carriers cannot offer that assurance. "[Legislation] will control premiums over time, but to roll back rates based upon a piece of legislation that is unproven is not realistic," Gilway said. "That's not the way insurance works." The Senate had favoured a competing bill that did not address one-way attorney fees and would have forced insurers to ignore AOB legal costs in rate submissions. Insurers opposed the measure, echoing concerns that the one-way fees are at the crux of the abuse problem. Evidence of claim inflation is mounting. In 2016, Citizens said its average water claim cost rose by more than $9,000 between 2012 and 2016. Meanwhile, lawsuits involving alleged AOB abuse are skyrocketing. Between 2006 and 2016, the number increased by more than 6,800 percent, according to the Consumer Protection Coalition, an advocacy group created by the Florida Chamber of Commerce that focuses on AOB abuse. As a result, premiums are expected to keep rising. Owners of a $150,000 home can expect to pay 29 percent higher premiums by 2022, the Florida Office of Insurance Regulation has said. And some insurers have stopped taking on new business from hotspots of abuse, such as Miami.